Recently during their birthday party the Sketchbook crew debuted a new look. Although I’m nostalgic and love the old one, this new logo is flexible and stands on it’s own as a piece of art. It’s been a banner year for the Evanston crew. 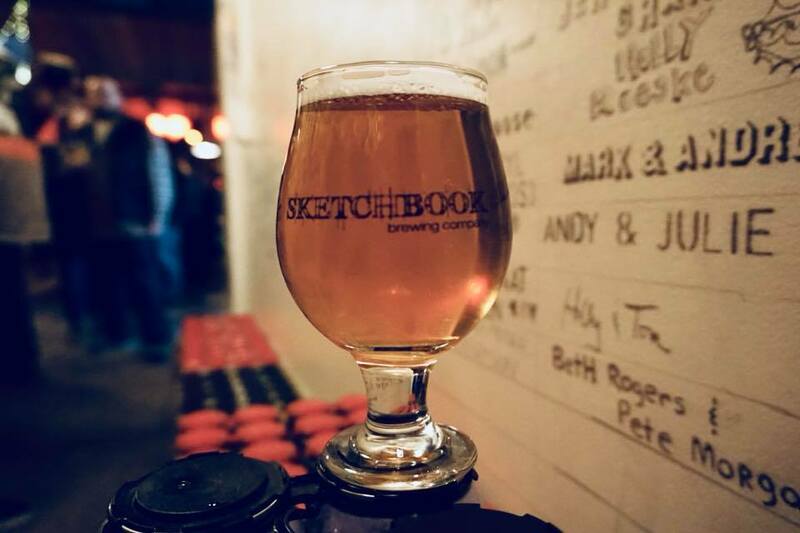 In June Draft Magazine revealed their 50 Best IPAs in America, Sketchbook’s Insufficient Clearance was ranked #19. 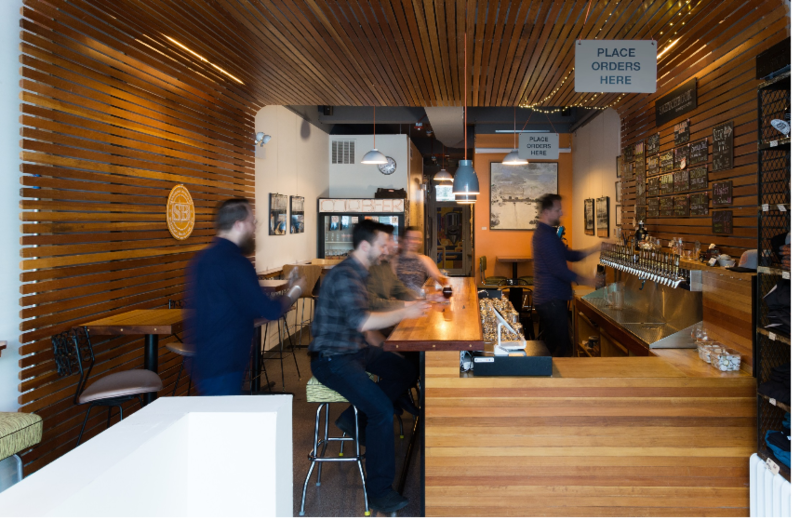 This month Design Evanston awarded the brewery for their creative use of wood. The bar was sourced from decommissioned bowling alley lanes. 19th century flooring was used in the wood wrap portal design of the taproom. By now you probably know that Evanston has been headquarters of the Woman’s Christian Temperance Union and their prohibition social movement against the consumption of alcohol since 1910. 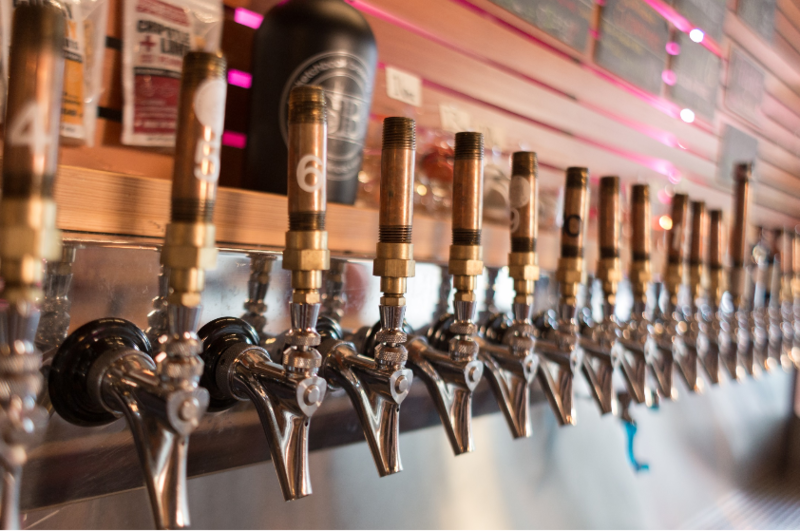 Nowadays there are four breweries in this North Shore town – Smylie Bros, Peckish Pig, Sketchbook and the first brewery to open since prohibition, Temperance Beer Company. Principal Owners Shawn Decker and Cesar Marron met at the Evanston Homebrew Club. Cesar won the annual Sam Adams Longshot contest in 2013. Longshot is an American brewing competition that began in 1996 where winners get to appear in a variety six-pack for national distribution. Of the 1000 entries, three winners were selected. Cesar’s winning recipe was a Gratzer, the light Polish style wheat ale with Saaz hops. We’ve known Sketchbook’s other co founders, Ted Perez and Sean Curry for years. Ted is also President and co founder of the aforementioned Evanston Homebrew Club. From our view, Sean has been an unparalleled ambassador for the brand at Chicago events. 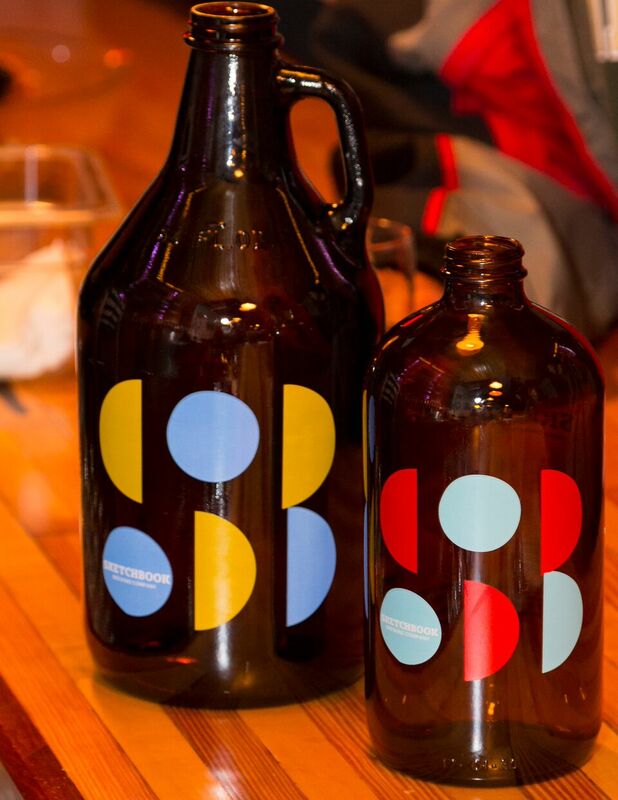 Sketchbook’s community supported brewing model now boasts over 400 members. 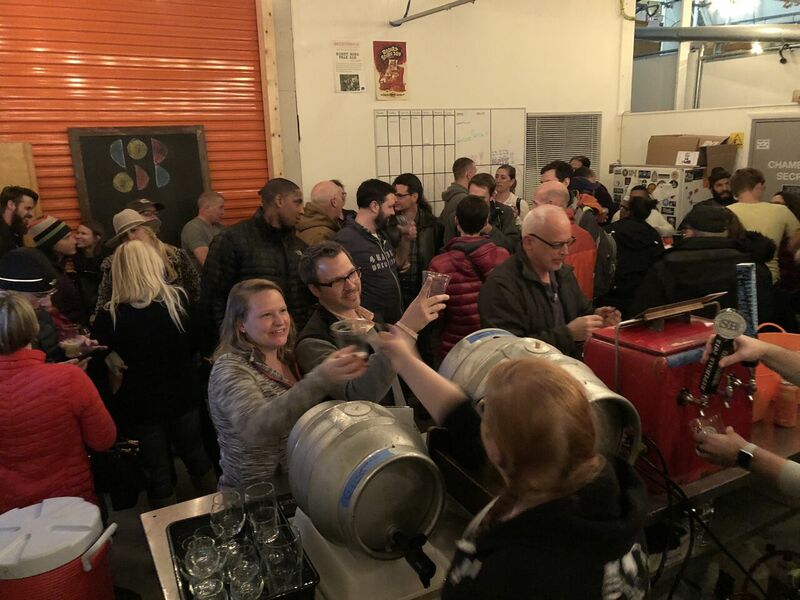 The first beers to be released with the new look were on display at the anniversary party, along with some nice firkin tappings back in the brewhouse. Sketchbook has nearly tripled their output from the early days. The Double Dry Hopped IPA Orange Door is an homage to the beginning phase of the project when the alley door was only entrance. Night Game Double IPA, No Parking Citra Pale Ale, Snowy Owl Red Rye Ale and Insufficient Clearance Hazy IPA rounded out the to-go options in the cooler that night. 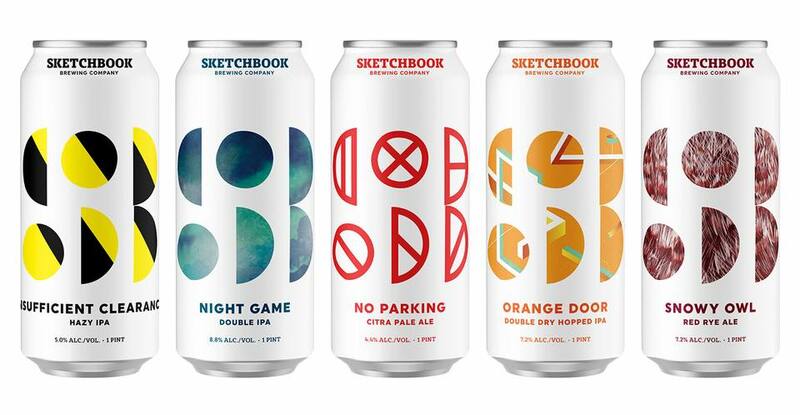 Sketchbook achieved their new logo design with an assist from Good Beer Hunting. GBH founder Michael Kiser served as creative director over the refresh. If you haven’t been up to Evanston in a while, we would suggest making a day of it. Few Spirits is also located in this neck of the woods. Both CTA and Metra trains operate express service to the city of Evanston for your convenience. -On 11/22 Sketchbook stays open an hour longer that usual to release their Milk Stout with cold brewed coffee and O Pecanda, a porter brewed with maple sugar and roasted pecans. -Along with the new logo, for the first time you can mix and match 4 packs purchased in the taproom. 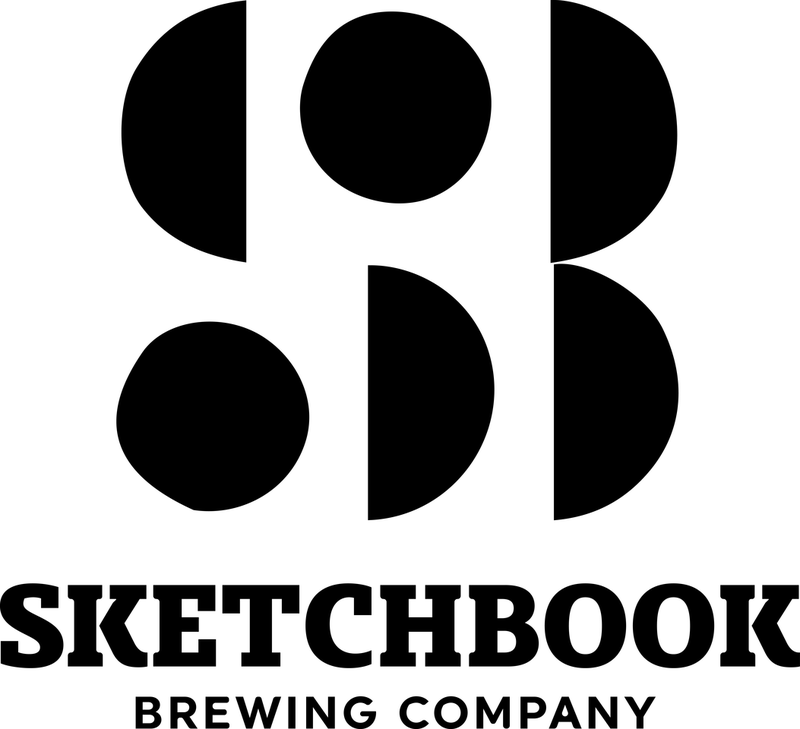 -To meet demand for their beers Sketchbook partners with both Church Street and Grand Central Brewing. 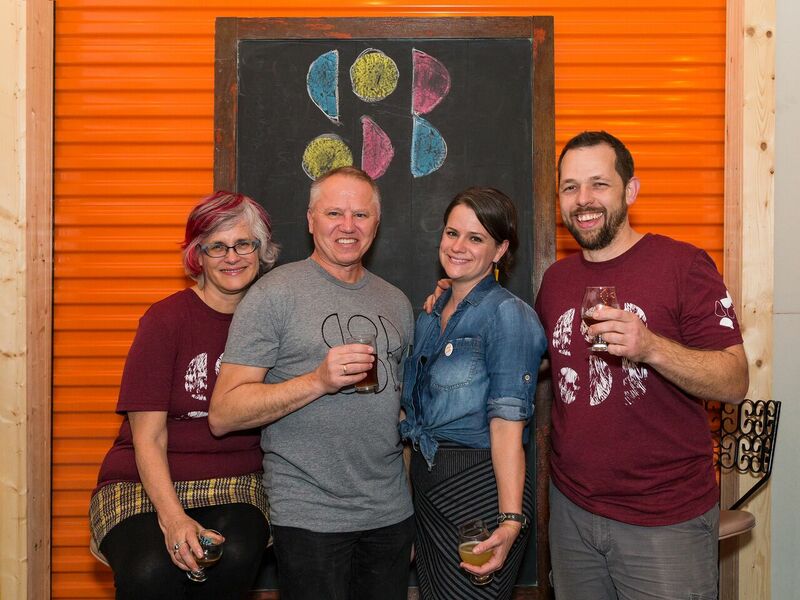 -My co-host on Chicago Beer Pass, Brad Chmielewski is on the donor wall in the taproom. 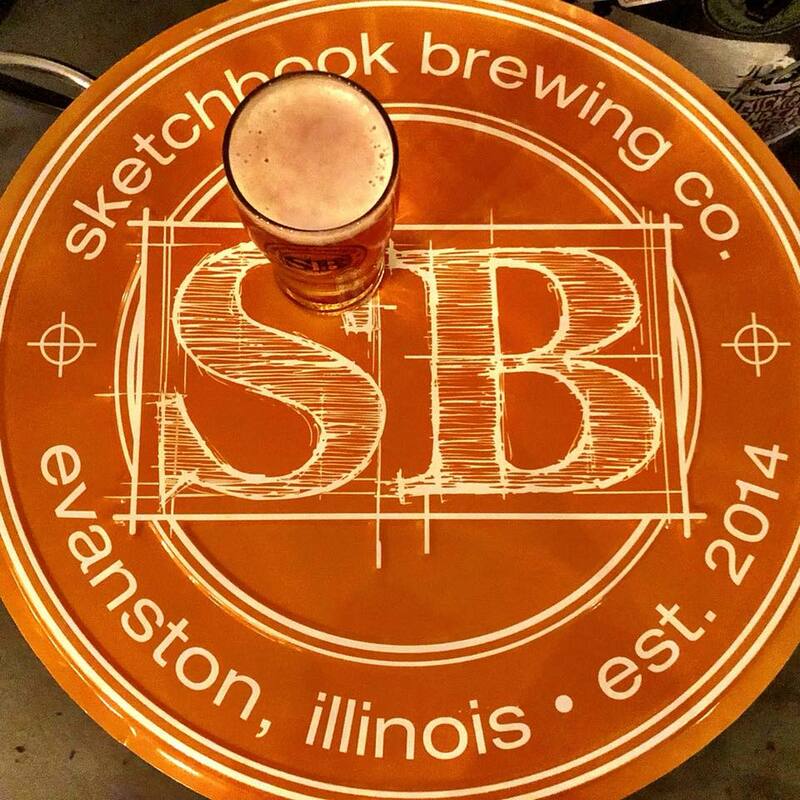 Evanston, Evanston Homebrew Club, IL, Sketchbook Brewing Company. Bookmark. You’re not counting Peckish Pig among Evanston breweries? good call. thought that was Rogers Park for some reason. The story has been updated. thanks again.